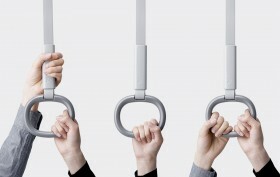 Should the MTA Consider These Gymnastics Ring-Like Straps in Their New Subway Design? Every day, stoic straphangers face the crowds, dirt and other nasty stuff in the city’s subway system (when it’s running), and we don’t often consider how the various moving parts of the commuting experience are designed. 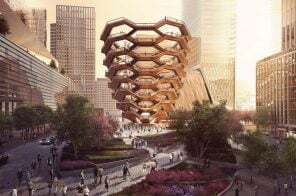 The old subway cars had straps to hang onto (hence the term) in addition to poles and horizontal rails; newer generations have nixed the strap altogether, including the new high-tech designs recently unveiled by Governor Cuomo. While it doesn’t sound as cool as a self-driving bus, Keita Suzuki at the Japanese firm Product Design Studio has designed a transit strap that could add a little more comfort to the daily commute.